For over 30 years, Extron Electronics has been a technology leader in the field of professional AV systems. Our products are used to switch, distribute, stream, and control audio and video signals in a broad variety of presentation environments, worldwide. 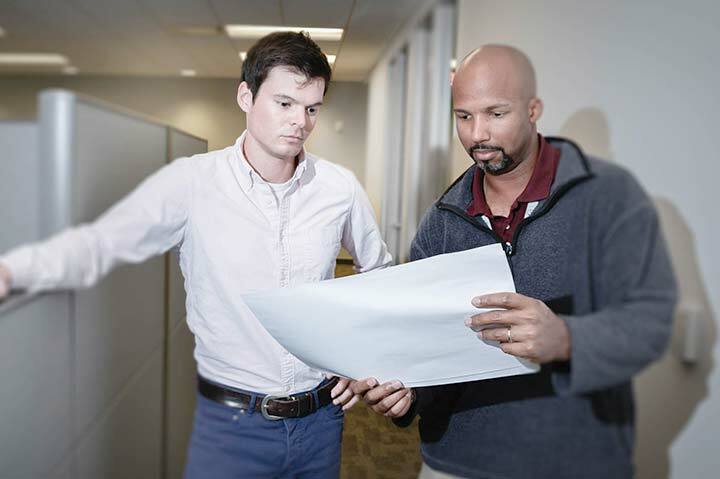 An Extron career will challenge you to discover your full potential while you engage in rewarding projects and collaborate with some of the industry’s most prominent engineers. Extron pioneered many technologies that integrators depend on to deliver AV systems that work. Extron pioneered many technologies that integrators depend on to deliver AV systems that work. Proven Extron technologies include Vector 4K™ scaling, as well as SpeedSwitch™, EDID Minder®, and Key Minder® for ultra-fast, highly reliable switching of HDMI and DVI signals and HDCP-encrypted content. We also developed a range of efficient, energy-saving technologies, and our control systems deliver powerful AV control capabilities that simplify system operation on the user’s end. We are seeking quality individuals who can help us grow, and who desire to achieve professional and rewarding career opportunities. Extron offers top industry salaries, and a competitive benefits package that includes medical, dental, vision, a 401k program with employer match, tuition reimbursement, and much more. Discover the enriched opportunities that await. Be a part of the Extron team and gain valuable skills to thrive in your career. As you interact with talented professionals on a range of projects, you will have many opportunities to further your abilities and develop new areas of expertise. These hands-on experiences enable you to contribute your technical know-how, talent, and ideas, while also acquiring greater depth of knowledge related to various technologies and the industry. Gain the competitive edge as you look to drive your career forward. Your skills, experiences, and capabilities are valuable assets. Use them as you choose the path toward your career goals. With many exciting Engineering roles available, you can find a position that spurs your interests and intellect. Stay ahead of the latest trends, collaborate on a wide variety of projects, and experience new learning opportunities each step of the way. At Extron, you can take pride in making a positive impact. Contribute to the success of products, technologies, and new developments that greatly benefit our customers and end users. Use your talent and creative ideas to solve challenges, identify opportunities to enhance solutions, and achieve outstanding results. Extron, at its core, is a technology company. We develop, adapt, and reshape technologies to further innovation in all aspects of AV communications. Extron engineers have the privilege of working with all the latest tools at every stage of the development lifecycle, while learning and mastering skills that help keep Extron a technological leader in our industry. We are seeking quality individuals who can help us grow, and who desire to achieve professional and rewarding career opportunities. Looking for an exciting way to contribute your engineering and technical experience, talent, and ideas to help produce amazing results? 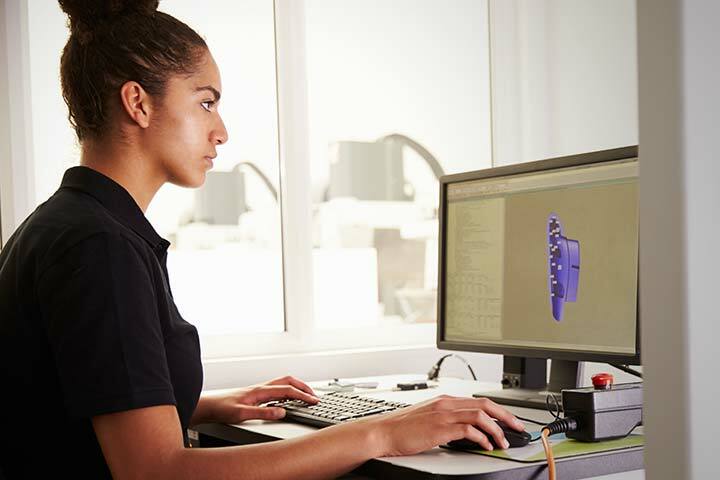 Extron has over 500 engineers, worldwide, each with unique skills and diverse technical backgrounds. Our continual growth in the broadening pro AV market means we are looking for experienced professionals like you to enhance our teams and claim your true potential. Start on the path to a rewarding career as a member of the Extron team. Extron offers internships and full-time positions to help you achieve your career goals. Work alongside dedicated professionals who provide mentoring and on-the-job training as you grow your skillset and knowledge of current and emerging technologies to create solutions that will benefit customers worldwide. Extron is looking for a Software Engineer that specializes in the design and development of state-of-the-art micro services architectures targeted at Amazon Web Services. Alongside cloud development, the Application Design Engineer will introduce, promote and evolve cloud excellence in areas such as performance, scalability, security, deployment and operations, based on industry standards, best practices and personal experience. Application Design Engineer Cloud Sr.
Extron is looking for a Software Engineer that specializes in the design and development of state-of-the-art micro services architectures targeted at Amazon Web Services. Alongside cloud development, the Application Design Engineer will introduce, promote and evolve cloud excellence in areas such as performance, scalability, security, deployment and operations, based on industry standards, best practices and personal experience. The Senior engineer will also be responsible for collaboration on specifications, architecture, design, tooling and technology with an eye on emerging and new technologies. 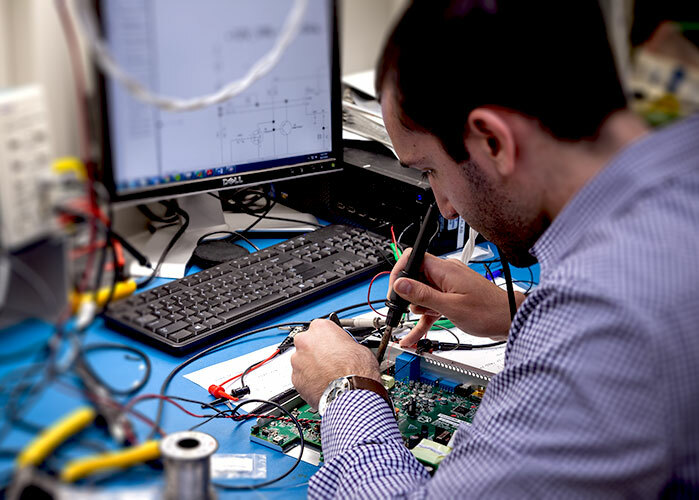 Responsibilities include the design of Audio Power Electronics circuits and products including Class D amplifiers and switch mode power supplies. You will be working on the next generation of Extron software, working side by side with a cross functional team of product owners, quality assurance, sales support and engineers. This candidate will be responsible for the overall development and design of a robust, scalable, and cloud based platform. You will be expected to actively contribute your knowledge of modern software development techniques and technology. This will require the ability to design services that use the latest in available technologies and architecture to produce services that meet customers' demands in a fast moving environment. We are looking for sharp, disciplined, and self-motivated individuals who have a passion for utilizing the cloud solutions from Amazon Web Services to solve real business problems for our customers. As a Control Systems Software Engineer, you will be working side by side with a cross functional team of product owners, quality assurance and engineers who are focused on the continued growth of Extron’s award-winning Control Systems solution. You will be working on solving real-world problems and innovating how our millions of users configure, control, and interact with AV Devices. You will participate in both early technology research and product development. We need our engineers to be versatile and passionate to tackle new problems as we continue to push technology forward. Work on a team of highly skilled software engineers to build cutting-edge software applications focused on the AV industry. Participate in early technology research and product development. C#.NET experience is required. Xamarin experience is a plus. Work on a team of highly skilled software engineers to build cutting-edge software applications focused on the AV industry. Actively contribute knowledge of modern software development techniques and technology on diverse platforms and architectures. C#.NET experience is required. Xamarin experience is a plus. Extron Electronics is looking for a Software Engineer that specializes in web application development using AngularJS and related technologies to deliver first class user experiences for distributed applications centered around the management and presentation of audio and video content. With more than 40 offices around the globe, Extron is able to provide dedicated, full-service support to customers worldwide. Extron’s global presence means that we are here for you, wherever you are. Centrally located in Orange County, Anaheim is the home of the Extron Headquarters and the seven buildings that comprise our corporate campus. Anaheim is also the home of Disneyland, Knott’s Berry Farm, and other exciting, family-friendly attractions. From our office, it’s only a 20 minute drive to beautiful Newport Beach and the 42 miles of picturesque beaches that skirt the Orange County coastline. Like to ski or snowboard? Local mountains are only 90 minutes away and offer dozens of winter time activities. Sports fans can enjoy two major sports teams, the Los Angeles Angels of Anaheim baseball team, and the Anaheim Ducks hockey team — both are only five minutes from our headquarters. Art enthusiasts can explore lively arts districts, galleries, and museums throughout the city for a captivating experience of the visual arts. Come join us at our Burbank office and experience a region known for its eclectic mix of arts, culture, and entertainment. Only minutes from downtown Los Angeles and Hollywood, Burbank is home to several major motion picture and television studios and has become recognized as the media capital of the world. Sunny Southern California beaches, such as Santa Monica and Malibu are only a short drive away. Hike in the Santa Monica Mountains, visit the world-renowned Getty Museum, or take a leisurely stroll through charming shopping districts, all within easy reach. This energetic Southern metropolis is the home of Extron East, our beautiful, 146,000 square foot building that houses a state-of-the art training and product demonstration facility, research and development, and an expanded area for sales and manufacturing. With the fastest-growing economy in the nation, North Carolina, and, in particular, the Raleigh and Wake County area is flourishing. Competitively-priced homes, vibrant entertainment and shopping districts, and many new schools joining the award-winning school system add to the charismatic and inviting appeal of Raleigh. Dallas is the commercial and cultural center of the North Texas region. It’s also home to one of Extron’s newest regional offices and state-of-the-art training centers. Aside from being recognized as one of America’s top five technology hubs, Dallas is a great place to call home. There’s a vibrant arts district, popular sports teams in exciting venues, and it’s a consumer’s paradise - boasting the largest number of shopping malls and stores in the country. The Dallas-Fort Worth area has undergone extensive growth in the past two decades with an abundance of new schools, lush parks and recreational areas, as well as plenty of carefully-planned, affordable neighborhoods. This lovely, rural township is conveniently located only 25 miles from historical Philadelphia, Pennsylvania, and is even closer to the major metropolitan areas of Levittown and Trenton. Like many communities in this fast-growing section of New Jersey, Westampton prides itself in being family friendly, with plenty of affordable housing, quality schools, and outdoor recreation and sports areas. Westampton encompasses the northern edge of Rancocas State Park, which offers a variety of outdoor recreation opportunities, including hiking, biking, fishing, canoeing, and many others. Situated on the border of Kent and Greater London, Dartford offers a rich history and inspiring culture. The area boasts a unique quality of life with bustling towns, landmarks along the River Thames, and historical castles throughout the region. Revel in the nearby riverside, numerous parks, and countryside, or take a short train ride to London to see popular sights and discover new adventures. Join us in Dartford and be an important part of our next technological innovations.